One night, when little Giana from Milano was fast asleep, she had a strange dream. Everybody dreams weird things at night, but no-one will have experienced situations like Giana is about to. Giana suddenly finds herself in a strange mysterious world, where everything is completely different. Gravity has almost disappeared - sometimes one feels like flying away - and everywhere there are unexplainable building and structures. Old grottos and deserted castles seem to hide lots of secrets, and frightening and hideous creatures appear. This wouldn't be too bad, except that Giana can't leave this world unless she finds the magic, Huge diamond. So, she starts searching for this wonderful jewel. However, she is not totally alone, for her little sister Maria can dream too. 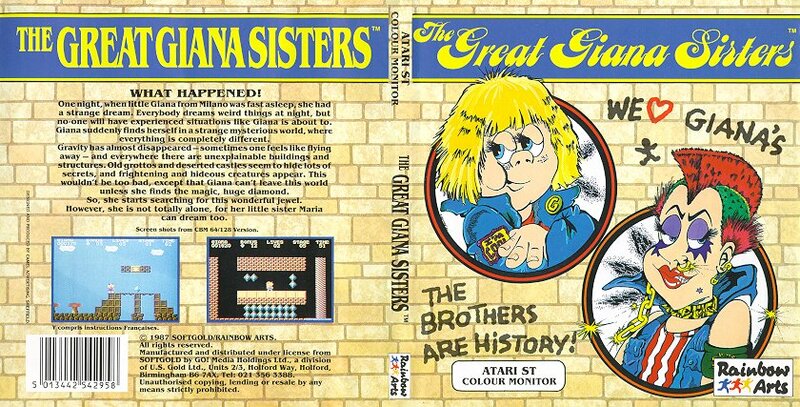 'The Great Giana Sisters' is 1987 All rights reserved. This great game came out for most of the system available at the time. "The greatest platform game of all time?" Magic Bombs After pressing the SPACE BAR, this super-dreambubble makes all creatures on the screen vanish. Save it for later! Water Drop The water-drop makes Giana totally wet, but against fire it is extremely useful! I don't think this version ever came out. The ST was quite poor at side way scrolling, so this game had a unique flip scroll system.. This version had the best music. The Amiga version has the best graphic but the music is pretty poor compared to the Atari ST and C64 versions. 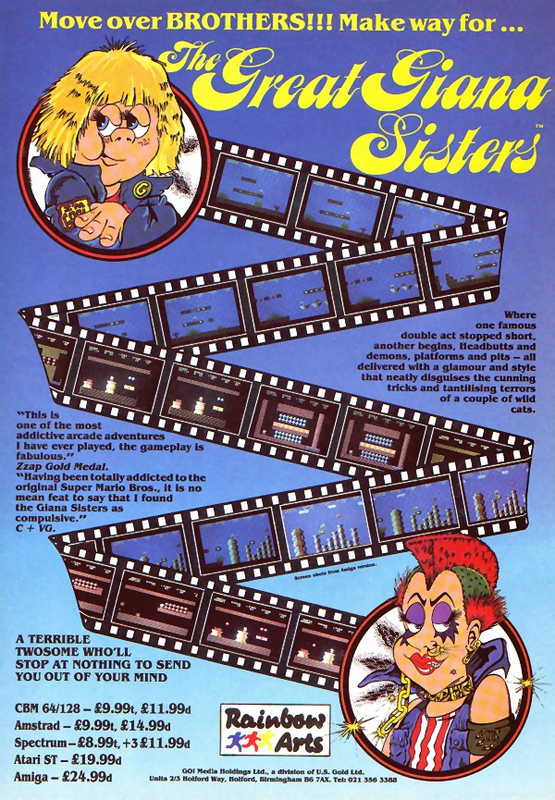 The game was and is still very popular, in fact popular enough for there to be a version for the PC (including a level editor and network/internet play up 16 players!! ), plus some new official version for the Nintendo DS and Andriod. 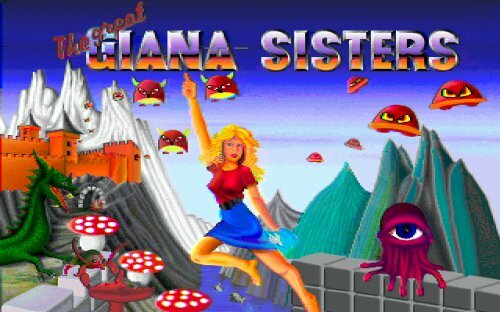 Multiplayer player Giana fan based game. A new version with some great looking graphics. Same as the DS version but for Andriod. 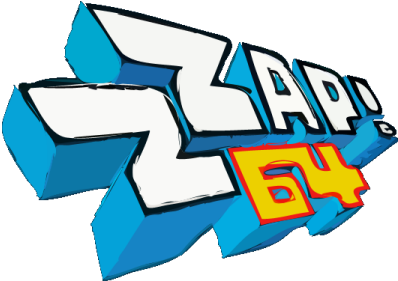 I will add the manual information, game level layouts, hidden warps, sid tunes, mp3 music, scans of the Zzap! 64 review etc... at a later date.